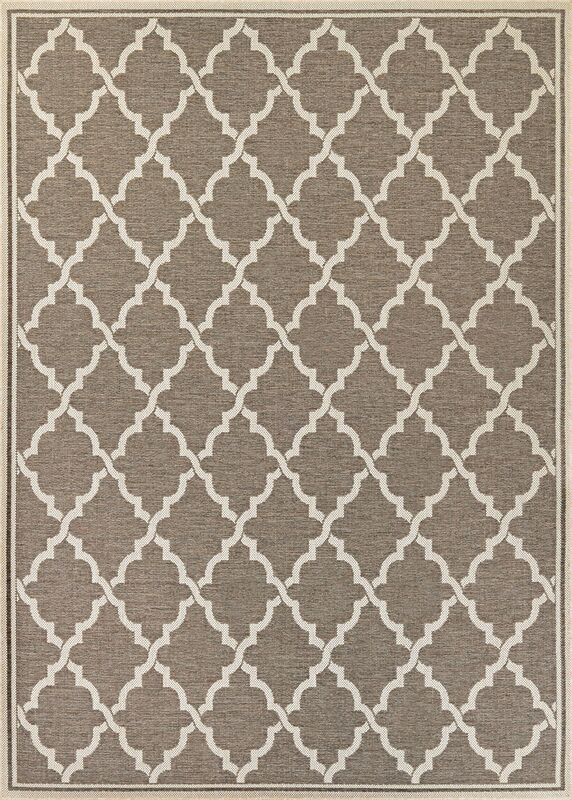 Couristan Monaco Ocean Port Taupe Indoor/Outdoor Area Rugs Ocean Port Taupe Sand / 5'3"x7'6"
Ocean Port Taupe Sand / 5'3"x7'6"
Relax in the comfort of your home with the effortlessly modern Monaco Collection. The varying motifs, ranging from graphic stripes to geometric patterns, are sure to fit in seamlessly in both your outdoor spaces and indoor rooms. These multi-purpose area rugs are constructed in a unique structured flat weave, boasting a smooth surface that is perfect for outdoor or indoor use. Woven using 100% fiber-enhanced Courtron polypropylene, each of the subtle patterns offer a highly durable pile with little upkeep required. Designed specifically to withstand outdoor elements, Monaco is UV stabilized to ensure each area rug in the collection retains its color due to sun exposure and other weather conditions, as well as mold and mildew resistant. The neutral color scheme found in Monaco, including cool blues, muted greens, soft greys and sandy beiges, is sure to transport you to your very own in-home retreat.